It’s Monday, and I’m actually not bothered by it! I had such a relaxing weekend at home with Rob- we visited The Cheesecake Factory and watched both our football teams lose so…super productive. Okay okay, I also totally cleaned the house too so that was pretty productive. 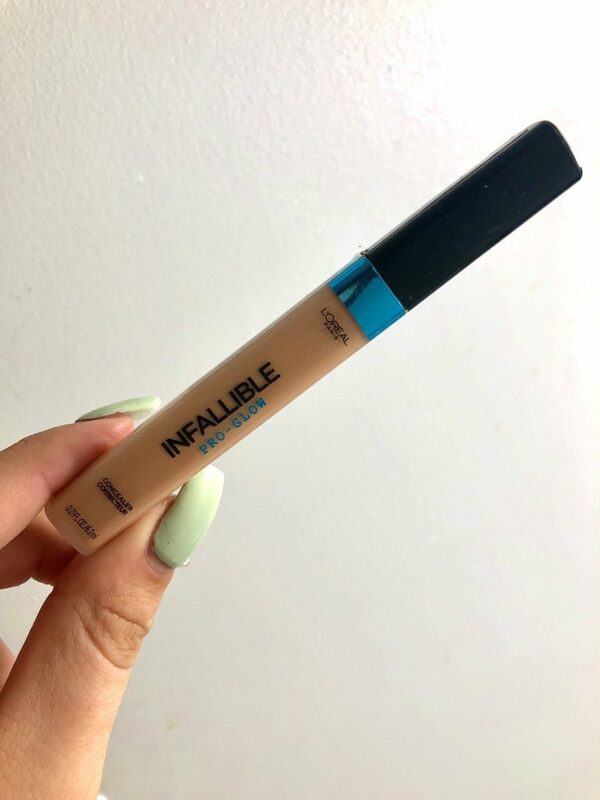 Anyway, I’m here today to share one of my favorite concealers, the L’Oreal Infallible Pro Glow. I switch between this and two not so budget friendly concealers (that I’ll share in the upcoming weeks) for my every day look. I use a few different concealers because I enjoy trying different brands and different formulas. I usually tend to spend a bit more $$ on my makeup, but between this concealer and the Infallible Pro Matte Foundation, I’ve really been enjoying L’Oreal makeup. I haven’t done a Face Mask Monday in a while, so I thought today would be the perfect day to share one of my favorite budget beauty face masks with you! 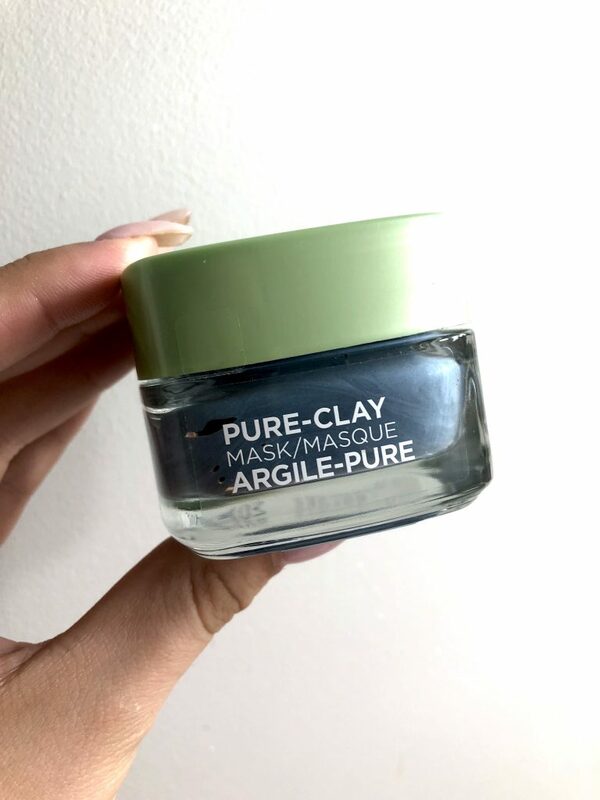 Not only is the L’Oreal Pure Clay Mask Clear & Comfort face mask inexpensive, but the texture & application process is great! L’Oreal has been killin it with their product lineup lately. From face & hair masks, to new exfoliating scrubs, L’Oreal has been doing an awesome job producing high quality products at a perfect price point. This fun, blue, mask is seaweed clay based and only needs to sit for 10 minutes before washing off. I love applying this mask right after a shower, and hangin’ in my robe for 10 minutes before needing to take it off. 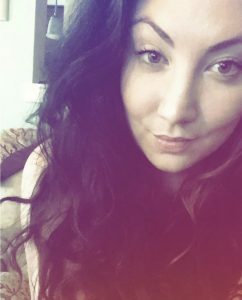 I’m forever looking for new foundations, & I’m pretty much willing to pay any price for a great foundation that’ll cover imperfections and give me a natural look. So, with that being said, I cannot even remember the last time I used a drugstore foundation before this one. I had heard such great things about the L’Oreal InfallibleMatte- Pro Foundation since it came out, and I thought I’d at least give it a try, I color matched to 102 Shell Beige, and give it a whirl. This foundation seriously delivers, & I mean it delivers all day long, and doesn’t take a break. Labeled as a 24 hour foundation I was skeptical of L’Oreal, and while thankfully I’ve never quite made it to the 24 hour mark, I have made it to the 16 hour mark (a Friday for a teacher can be a pretty long day), and it still looked good! Clearly, as you can tell from the name, this foundation is going to give you a matte finish, an easily blendable matte-pro finish to be exact. It gives flawless coverage without looking cake-y or dry, and it creates the perfect canvas for a highlight, blush, and bronzer. I’ve used both a Beauty Blender and foundation brush to apply the L’Oreal Infallible Matte- Pro Foundation and both work great. As I said, it’s blends well and you can slowly build coverage and not worry about it looking like too much. It also has a wide variety of color choices, so you’re almost guaranteed to find a perfect match. This foundation truly has all the makings of a high end beauty product, but with the budget beauty price point. I highly advise you give it a try next time you’re in your local drugstore or Target!